Mandatory recycling in the City of Oakland has been in effect since July 1, 2012 for businesses and institutions with 4 or more cubic yards of garbage service as well as multi-family properties with 5 or more units. Phase 2 of the Mandatory Recycling Ordinance began July 1, 2014, which requires all businesses to participate. 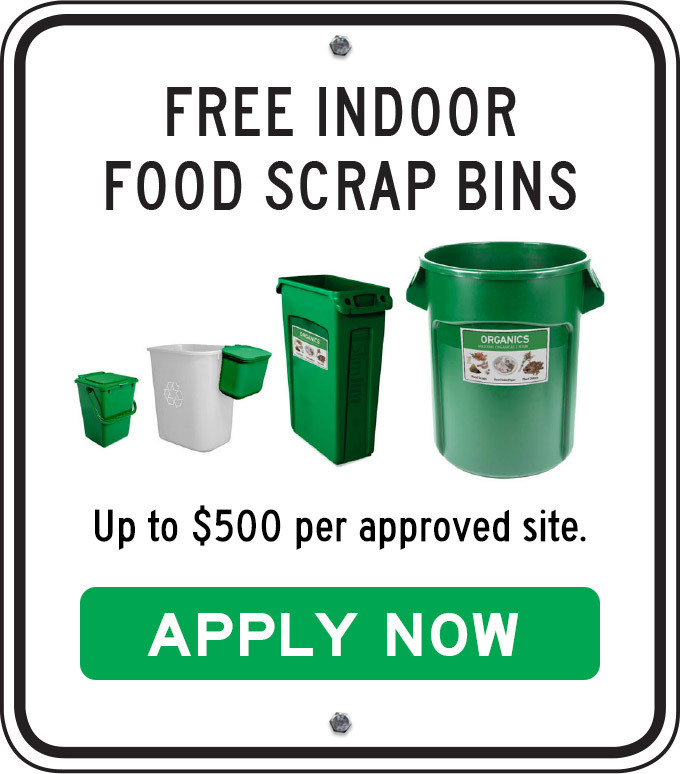 Requirements to collect food scraps and compostable paper separately from garbage were effective as of July 1, 2016. Due to franchise agreements in Oakland, multi-family properties received organics cart service at no additional charge beginning July 1, 2015. The City of Oakland contracts with Waste Management of Alameda County for garbage and organics (food scraps, food-soiled paper and plant debris) services. However, this exclusive contract does not extend to recycling services for businesses and institutions. Oakland businesses are free to make arrangements for recycling with any recycling service provider. To find a commercial recycling service provider for your business, you may contact the City of Oakland at (510) 238-SAVE (7283) or review the Oakland Business Recycling Directory. The City of Oakland contracts with Waste Management of Alameda County for garbage and organics (food scraps, food-soiled paper and plant debris) services. Recycling collection is available to all multi-family buildings at no additional cost, provided by California Waste Solutions. Free onsite waste and recycling assessments are available upon request. The City of Oakland provides free multi-family toolkits upon request, including resident door hangers, posters, in-unit collection caddies for residents to use in transferring their recyclables to the centralized collection containers and in-unit kitchen pails for residents to use in transferring their food scraps to centralized organics collection containers, as supplies last. Order free materials at www.oaklandrecycles.com/multifamily-free-tools-resources. Below are downloadable support materials specific to the City of Oakland. Additional support materials for any community are also available for businesses and institutions and multi-family properties.